Transportation and transportation infrastructure (heretofore referred to simply as mobility) have been around since the beginning of humans. In fact, the history of people and civilization could be told in terms of mobility. Mobility allowed our species to move out of Africa and around the world in roughly 50,000 years (starting around 60,000-80,000 years ago and completing this global journey around 15,000 years ago). Early components included walking on animal trails and along waterways (rivers, lakes, and ocean), increasingly large and sophisticated floating craft (boats, canoes, ships, and others), and animals domesticated to increase transport (horses, alpacas, camels, and others) over larger and larger expanses. The invention of the wheel (and associated axle) appears to date back to about 5,000 years ago and was a milestone that has resulted in vehicles of increasing size and capability ever since. For at least the last few thousand years virtually all of the mobility system developed based on available data, mathematics, and trial and error. 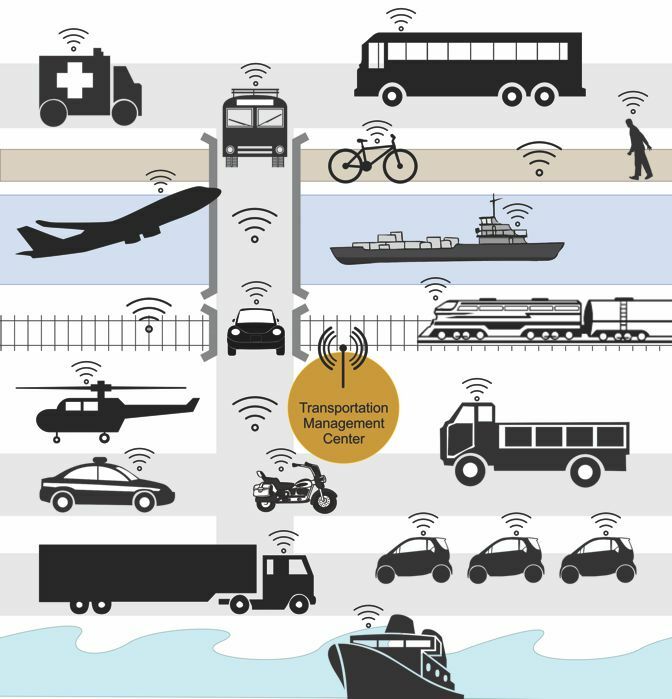 Over time, these components have evolved into an increasingly sophisticated mobility system. The Apian Way allowed the Roman Empire to travel and dominate much of the known world. The Silk Road and others increasingly expanded trade and cultural exchange over vast areas of the globe. Our forefathers had a great interest in roads, particularly in a “National Road” to connect the emerging United States of America. What eventually became the National Road (also known as the Cumberland Road, Cumberland Pike, National Pike, and Western Pike) was created by an Act of Congress in 1806 and signed into law by President Thomas Jefferson. In many ways, it was an early precursor to the Interstate Highway System. The Act was revolutionary and called for a road connecting the waters of the Atlantic with those of the Ohio River. Federal funding began in Cumberland, Maryland. The predecessors of the National Road included buffalo trails, Native American footpaths, Washington’s Road, and Braddock’s Road. The latter two were developed over part of the Nemacolin Trail, an Indian pathway, as part of the British campaign to evict the French from the forks of the Ohio River. Congress paid for the National Road, in part, by establishing a “2 percent fund” derived from the sale of public lands for the construction of roads through and to Ohio. Construction took longer than expected and the costs of maintenance were underestimated. As a result, tolls were eventually collected to pay for maintenance. To this day underestimating the cost of maintenance is likely true in many states and communities. In 1919, Oregon was the first to develop a reliable funding mechanism—the fuel tax—which has been the primary funding mechanism for roads and bridges. By 1929, all states had a fuel tax. It was not until 1956, that the federal government created a federal fuel tax—Federal Highway Trust Fund— to pay for construction (not maintenance) of the Dwight D. Eisenhower National System of Interstate and Defense Highways, commonly known as the Interstate Highway System. As of December 2007 (“Peters Quick Action” in Better Roads), the U. S. Secretary of Transportation reported that 40 percent of the Federal Highway Trust Fund is used for other purposes. While much of the first half of the 20th Century was spent “getting out of the mud”, the 50 years subsequent to 1956 were spent building and maintaining the interstate highway system under the responsibility of state departments of transportation. In large part, the 21st Century appears to be ushering in an era of system preservation, due largely to inadequate funding. As indicated earlier, data for improving mobility is not new and it is reflected in virtually every aspect of the mobility ecosystem. These include engine oil diagnostics which serve to extend engine life, data-based preventative maintenance checks and services and scheduled services for all types of vehicles, data-based structural and functional capacities of roads and bridges, data-based pavement management systems, data-based bridge management systems, data-based needs assessments and estimated costs for repair and replacement of infrastructure (roads, bridges, buildings, runways, etc), data-based asset management for determining priorities of spending within and between modes, analytic tools such as life-cycle costs, return on investments, and many others. In fact, it would be difficult to identify an element of the mobility ecosystem that is not or cannot be managed by data. Of course, this requires good data and that does not always exist. There are many examples of entities that attempt management without good data that is fairly analyzed and with actionable outputs. In 2007, the first iPhone was fielded, and this serves to mark the beginning of a new era, one driven largely by rapidly evolving digital technology but other elements as well. These elements include other technologies and increasing demand for collaboration. While 2007 was not the beginning it is convenient to view it as an inflection point, especially for mobility. The United States is, and has been, a leader in mobility and that has been a significant multiplier in building our nation’s strong economy. While much of the rest of the world has lagged behind the United States in the mobility space, it is rapidly catching up. Two examples are China’s “One Belt, One Road” which will result in the largest road network in the world and India’s National Highways Development Project which will result in a road network of over 30,000 miles as an element of their industrial revolution. Transportation is the aging term. Mobility reflects the emerging mobility ecosystem and marketplace. This ecosystem is at an inflection point coupled with the Internet of Things (IoT) and new ways of thinking in the 21st Century. It is an exciting time, with more changes in the next 10 years than perhaps the previous 100, driven by increasing demand for technology and collaboration. It is not an overstatement that today’s new gadgets are tomorrow’s antiques. While some things will remain the same, this new mobility ecosystem will move inextricably forward as it evolves. We’ll increasingly think and speak in terms of one seamless, connected, efficient, user-friendly, intuitive, multimodal mobility system. Over time we will speak less in terms of buying and owning vehicles, “hard” infrastructure without embedded technology and planning individual modes to get where we want to go. Moreover, this new emerging mobility ecosystem will better connect one global community and economy, with all of its challenges, risks, and opportunities. In short, mobility is being reimagined. The mobility ecosystem is complex if it is anything. Modes vary across the world. These modes and some components include planes, trains, automobiles, trucks, transit providers of all types, buses, bicycles, motorcycles, pedestrians, airports, marine/lake/river ships, roads, rail, bridges, marine and freshwater ports, dredging to enable navigable ports and rivers, pipelines, public safety providers, governance in both the public and private sectors, and many others. These provide us access to jobs, medical care, food, fuel, emergency response, vacations, and many others. The size and capacity of many vehicles are growing increasingly from large to gigantic in an effort to gain economies of scale in moving people and goods as much of the supporting infrastructure races to keep up. Using the United States as a yardstick, the first half of the 20th Century was marked by increasing motorized road, rail, air, and river and blue water conveyance. The second half of the 20th Century was marked by improvements in all areas of conveyance but largely by the creation of the Interstate Highway System. Simplistically, these can be referred to as the motorized conveyance era and Interstate era, respectively. I think it is important to note that the Interstate era also increased the emphasis on safety in an effort to decrease losses in lives and property. This is critical and continues to this day, as it should. According to historian Jonathan Kenoyer, the concept of using a valueless “technology” instrument to represent transactions dates back 5,000 years, when the Mesopotamians used clay tablets to conduct trade with the Harappan civilization. While cumbersome, a slab of clay with seals from both civilizations certainly beat the tons of copper each of which had to be melted down to produce coins. Fast forward to the mid 20th Century, the Diners Club Card was the first credit card in widespread use by 1951. American Express introduced the first plastic card in 1959. Within five years, one million American Express cards were in use. In the 1950s-1960s my father, who worked for DX Oil Company, talked about them working on a card that could be used to pay for gas and enable self-service dispensing of fuel. The card became one of the ubiquitous credit cards. While credit cards have been upgraded over time to include passwords, security codes, and chips, today’s technology changes at increasingly rapid rates (the iPhone with its camera, GPS, apps and other associated technologies is just one example). With the rapid advances in technology in the early 21st Century, the opportunities for mobility to be reimagined has never been greater and this has only just begun. New technologies do not have to function on their own and frequently do not. For example, Iteris and Lindsay Corporation recently announced a smart work zone collaboration, leveraging the existing Lindsay Road Zipper for placing concrete jersey barriers and the industry-leading technology of Iteris. This collaboration promises to improve safety while getting more capacity at a lower cost with existing infrastructure. This also holds promise, on a temporary or permanent basis, for real-time lane reconfiguration in separating today’s traffic from autonomous and connected vehicles. Currently, much of the mobility ecosystem is siloed to protect proprietary interests, growth, and profits. Silos must be broken down to achieve one efficient, connected, and seamless mobility system focused on the movement of people and goods, not vehicles alone. This can require a significant change in mindset. New models and methodologies are developing. The emerging 5G coming out in 2019 is estimated to be 100 times faster than current mobile technologies, have more capacity, and dramatically reduce power consumption and communication response times. Artificial Intelligence (AI) is advancing, driven partly by more effectively “mining data” such as IBM’s Watson. Use of Unmanned Aerial Vehicles (drones) has undergone dramatic growth in recent years in an increasing number of markets. Fully autonomous vehicles have arrived although it will likely take longer to have a significant impact than many have projected. Semiautonomous vehicles are increasingly mainstream as manufacturers add new technologies. Final destination methodologies are increasingly deployed whether through mobility as a service, Amazon, FedEx, ridesharing (Uber, Lyft, and others), high-speed transport such as high-speed rail, Hyperloop, and others. Finally, we are on the cusp of technology providing “one-stop shops”, such as Expedia does for airlines and hotels, for simple, connected, seamless, user-friendly trips for people. This has been ongoing in the primarily private sector-based freight industry which is driven by economies of scale, efficiency, and profit. Business to business has recognized for a long time the value of breaking down silos in spite of their need to protect their proprietary interests, growth, and profit. The public sector is more dominant in the movement of people and they seem to struggle more in breaking down silos, in part, to protect public interests including personal data and privacy. Breaking down the silos between public, private, and public and private entities, makes the task of creating one mobility ecosystem enormous. Still, this is an opportunity as the demand for collaboration increases to provide more efficient, cost-effective, environmentally and economically sustainable mobility for the movement of people and goods. This has become a quality of life issue for our planet and our global society. The future will be what we make it. It will likely be messy, and no one has the answers. The Transportation Research Board 2019 report on Critical Issues in Transportation reflects a smorgasbord of issues, challenges, and opportunities. The report states, “Changes are coming at transportation from all directions, including potentially revolutionary technologies such as drones and automated vehicles, rapid innovations in urban transportation services, unreliable funding for infrastructure and operations, and possible changes in national policies affecting trade, climate, environmental protection, and sources of energy. The potential consequences of these changes could make future congestion, fuel consumption, and emissions either markedly better or markedly worse. Correspondingly, these potential changes could positively or adversely affect commercial truck, rail, aviation, and waterborne networks, with significant implications for the delivery of goods and services, personal travel, and the economy.” What will likely not change is the general systematic process for developing vehicles and infrastructure—planning, design, construction, manufacturing, operations, maintenance. Despite concerns over privacy, identifying travel patterns is important. Technology has enhanced our ability to do this enabling plans and designs to be developed for improvements. Sharing data is another important component. How? Simple vehicle/people trackers are available and used while protecting privacy. 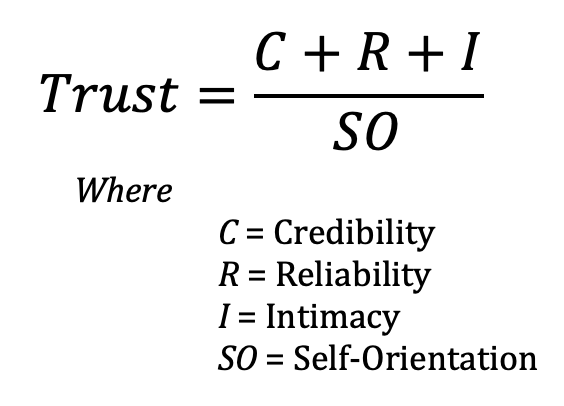 Gaining trust is critical and that takes time. This is also easily lost, and everyone must stay mindful of how important this is for the system to work properly, even efficiently. The technology should include the ability for the user to turn the location off unless it has potential safety risks or system impacts which may relate to safety and/or efficiency. So, what’s in it for me? This has the potential to reduce costs financially and environmentally while improving the overall quality of life, decrease travel time, increase the efficiency of the system, maintain and/or increase the profits of data collectors/owners. A determination should be made of what is the proprietary in both the public and private spheres. What are some drivers in reimagining mobility? These include reducing costs for users and the environment, reducing congestion, increasing the capacity of existing infrastructure, reducing travel times, and increasing safety. What are some obstacles? Privacy continues to dominate, including as an issue in exploring a replacement for the fuel tax such as the vehicle miles traveled tax (VMT) initiated by the State of Oregon. Fielding is another issue. How do you efficiently field new technologies into a fleet of varying types and ages? That is likely messy and will require a long transition. Consolidation, analysis and meaningful output is likely another obstacle. Collecting data is only useful if it can provide meaningful outputs. While 5G will greatly enhance rates, the overall capacity of the system is a predictable obstacle to include adequate data storage capacity. Data centers being developed by Facebook, Microsoft and others may be examples of what will be needed to accommodate this new, emerging mobility ecosystem. Finding a framework is key for the needed public-private partnership to develop. The Intelligent Transportation System (ITS) architecture developed by the U.S. Department of Transportation (USDOT) may be a good model. This architecture attempts to define a system of governance and key architectural elements that must be met by participants, public or private, while not being overly prescriptive. This can be a fine line to walk. The Intelligent Transportation Society of America (ITSA) is a consortium that continues to bring the public and private sectors together to augment USDOT in developing and deploying emerging technologies. In 2019 the Transportation Research Board published the results of a three year study on the future of the interstate highway system, originally planned for a 50 year life, that made several recommendations including that its future should be modeled after the original interstate approach, adjusting the federal fuel tax to the original 90 percent federal share, creation of an Interstate Highway System Renewal and Modernization Program (RAMP), increasing the federal fuel tax to a level commensurate with the federal share required of the RAMP investment and adjusting the tax as needed for inflation and vehicle fuel economy, and with an assumption that it would be at least 2040 before large scale automation occurred. These frameworks of governance have worked in the past and there is every reason to believe they will work in the future. It is critical that the federal and state governments, and their conventions such as the American Association of State Highway and Transportation Officials (AASHTO), lead the way. It is important to tie this effort to safety, congestion reduction, climate change, resilience, security, economics, quality of life, health, business, asset management including the true costs of travel and supporting infrastructure, sustainability, and overall system performance. This also has the potential to improve other associated elements to include social justice, equity, diversity, increased access, reduced energy consumption, and others. Reimagining mobility has the potential to improve all of these. In a mobility ecosystem, everything is related to everything else and the progression to it will be challenging, messy, and a long road (no pun intended). However, there are some human elements that will enhance, if not be critical to, success. These include being resilient, collaborative, maintaining a focus on the big picture goal, not getting stuck or lost in the details, and continuing to leverage emerging technologies. Executive leadership requires a complete and evolving set of tools, including maintaining a big picture perspective and delving into details as necessary. This spectrum of leadership, management, and oversight manifests itself in daily activities. As such, I have borrowed from my own experience in developing the generic outline below for conducting daily activities. Every person develops their own unique daily routines. Thus, I emphasize that this is simply a generic outline and primer based on my own experience. People-based: You lead people and manage things, but it is all about people: first who, then what (Good to Great). Overall, set the vision, values, direction, culture, priorities, and coach within a framework where people can flourish. The world is changing and we must change with it. Traditional engineering and construction are not enough. Commit to the success of team, organization, clients, partners, and stakeholders. This post originated from introspection and experience over the past year. During this past year I have been trying to digest what the future of transportation will be. Although still relevant, I also realized my post of February 16, 2016 “One Seamless Transportation System” (now I consider it 1.0) was even more simplistic than I realized. As our current transportation system currently exists, each mode and multi mode does not get people where they need or want to go quickly. The central premise of these articles is that we live in a complex world, it is very rapidly changing, we have biases, and these publications provide some methodologies for mentally slowing things down so that learning and the associated problem-solving and innovation are maximized. This was the genesis for this post. While I believe the two primary drivers of this rapidly changing world are increasing demand for collaboration and digital technology, there are no simple answers. Although I have focused predominately on the built environment, the rapid changes in our natural environment make solutions exponentially more complex. I will fall short in this post of a complete understanding and synthesis. There may be more changes in the in mobility in the next ten years than the previous 60, or maybe even 100. The rate of change in autonomous vehicles, connected vehicles, shared vehicles, unmanned vehicles or drones (aerial and underwater), intelligent vehicles, intelligent infrastructure, mining big data, artificial intelligence, augmented intelligence, nanotechnology, 3D printers, robotics, data acquisition (e.g. mobile LIDAR), building information modeling, geographic information systems, remote sensing, delivery methodologies, contracts, roles and responsibilities, allocation of risk, and others are accelerating and acting synergistically as part of the internet of things in the changing mobility marketplace. Thus, these are some reflections toward “One Seamless Transportation System.” There is a story behind each. Mobility is changing fast, but traditional planning, design, construction, maintenance and operations will remain for the foreseeable future. We will increasingly speak less in terms of transportation and more in terms of mobility. More deeply, this reflects a needed change in thinking. Autonomous vehicles are coming and being tested in a small number of cities in the United States and other countries. Widespread use of fully autonomous vehicles is likely decades away, although they may be fielded within a small number of communities in the next few years. Widespread use of fully autonomous vehicles within the next few decades is unlikely. It is just too complex. Part of the challenge of fully autonomous vehicles, and a seamless mobility system, is the unpredictability of human nature for not always following the rules, even in a rules-based society. Another challenge is the enormous amount of processing speed and storage capacity that will likely be needed to accommodate large fleets of fully autonomous vehicles. While Moore’s Law has been effective in predicting the processing speed and storage capacity in the past, it is unknown if it will in the future. The entire mobility industry must remain mindful of the accelerating rate of change and plan for it to the extent possible. The industry is always in search of ways to improve design and construction means and methods. The time has essentially passed when one individual can be an expert in more than one area. Keeping up with the increasing information being created in one area of expertise is a struggle and beyond most of us. Teams and teams of teams will become increasingly important. Security of these increasingly complex systems is becoming paramount to protect us from the forces that would do us harm. The need for sincere, honest, and truthful collaborations will be fundamental to making the technology and system work. Trust and mutual respect will increasingly be needed for success in the mobility business, whether between modes, sharing resources, sharing risks, sharing research and knowledge, sharing security, and in making the whole more than the sum of its parts. Without these critical elements our changing world will experience unnecessary setbacks and will not achieve our full potential in the mobility space. Mobility systems must become increasingly redundant to make them resilient, secure and smart enough to seamlessly transition without interruptions. While auto and truck manufacturers will continue, some will increasingly become mobility providers, as is already occurring. Likewise, technology companies will increasingly become mobility providers as is already occurring. The traditional lexicon/vocabulary used to communicate in the transportation space will change as the transition to the mobility space continues. The future will put a higher value on project and program management as techniques to bring technical experts together to develop and deliver future products and services. Traditional modes of transportation (air, road, rail, transit, water and their associated vehicles) will likely continue to change and new modes will evolve, especially vehicles and means of propulsion such as the envisioned Hyperloop, rocket engines, solar power, electric vehicles, etc. Mobilities which have been science fiction may become realities in the not too distant future. The future will not be sequential or homogenous. It will be messy with many starts, stops, interruptions, failures and successes as there have been in recent decades, except that these changes will be much more rapid. Government institutions are currently not well suited to accommodate these accelerating changes. Departments of transportation must increasingly have a mobility mind set, focus on seamless mobility, and develop laws, policies, rules, regulations, and architectures that are nimble and flexible that can be quickly changed and adapted while enabling and collaborating with the private sector to develop technologies that serve the public good. This must be a true public-private partnership, based on trust and mutual respect, with neither side over stepping, and finding the right fit. Leading change is critical. The need for leadership will increase in the future along with the ability to collaborate, accept accountability, responsibility, and risks, while providing needed decisions and direction. The mobility workforce will increasingly have digital technology skills. Traditional infrastructure skill sets (planning, design, construction, maintenance) will continue for the foreseeable future while intelligent infrastructure and other technologies develop. There is general agreement that fuel taxes are not sustainable as a reliables means of funding transportation, primarily due to more fuel efficient vehicles and alternative fuels. The new funding mechanism will be based on a mobility mindset and likely be a version of the user-fee system researched and developed by the State of Oregon and others over the past decade. California and Oregon are currently collaborating to test the vehicle miles traveled user- fee on an interstate basis. Building information modeling will likely increase in use as a more collective hub throughout the asset life cycle. 3D printed infrastructure will increase, especially bridges and other discrete assets. As I write this the Dutch robotics firm, MX3D, is printing a steel bridge which is expected to be completed in 2018. Data acquisition will accelerate, especially through use of mobile light detection and ranging. Other remote sensing technologies will increase as well. Unmanned aerial and underwater vehicles (drones) will be increasingly used, and at far less cost, for surveying, inspections, and other uses in combination with rapid improvements in data acquisition and other technologies. Not long ago, design-bid-build was the dominant, if not the only, delivery methodology used in the transportation business. Contracts and delivery methods will continue to change and evolve as the industry seeks ways to accelerate delivery time, squeeze out inefficiencies, reduce costs, mitigate risks, improve accountability, productivity and predictability. Owners will also continue to consider risk transfer, favorable financing and life cycle cost benefits as they have in the past. These changes began within recent decades with design-build, construction management-general contractor, public-private-partnerships and integrated delivery. The contractual models for delivery of these methods will continue to evolve. Once commonly used contracts like lump sum, cost-plus fixed fee, and time and materials will likely be less homogenous. There are contractual/delivery arrangements made between owners, consultants and contractors such as construction-management-at-risk, general engineering consultants and many others. While these terms have some meaning, how they operate can differ substantially. Thus, the “devil” is in the details of a contract and the long used design-bid-build delivery methodology will likely be used less in the coming years. Safety will continue to be priority one in the industry. The advances in technology, coupled with increasing collaboration, hold the promise of zero deaths, injuries and property damage in our mobility system and work sites. The natural environment must be protected and improved. While we may take our natural environment for granted and it has a high degree of resilience, it is beyond dispute that the natural environment is changing. While we can debate the cause and effect of these changes, there are changes in weather patterns and severity of storms, sea levels are rising, the numbers and diversity of species are declining and others. Nonetheless, we must find ways to mitigate the impacts and improve the natural environment. The earth is our home and “Mother Nature” rules supreme. Our built environment is subordinate, not superior to the natural environment. Work sharing will increase, enabled by advances in technology. We will also rediscover the value of face-to-face communications as a means to build trust, mutual respect, teams and broader collaboration. I enjoy, and put a high value on, history but it seems the old ways of capturing and writing history are growing increasingly difficult and complex. Understanding history will remain important as we learn from the past and not repeat it. Effectively dealing with accelerating change requires special skills. The tools that enable these skills include frequent reflection, keeping a journal, team work, collaboration and generating trust and mutual respect so that the entire team feels safe to express their ideas and suggestions. These tools help mitigate our inherent biases which can increase risks and sub-optimize decisions and direction-setting. —The future will be what we make it, and it’s going to be great! An owner’s readiness to the success or failure of projects is not limited to major projects as described by Prieto (PM World Journal, Volume III, Issue 1, January 2014, entitled “Owner’s Readiness Index”) although this provides a useful background for discussion. Experience suggests risks to all projects unless certain owner elements are in place to enable project success. I will briefly touch upon some of these elements. These elements are structured in the following areas. Owner readiness with respect to clearly articulated strategic business objectives. Owner readiness with respect to a clearly articulated decision framework and process. Owner readiness with respect to planning and execution. Poorly defined or articulated vision, mission and objectives. Inadequate alignment between various partners including elected officials, appointed officials, interest groups, planners and executors, the public and similar or corresponding partners in the private sector. Inadequate communication and support of the “intent” to include the vision, mission and objectives. Thinking through a strategy with clearly defined objectives requires experience. If this is not done well from the beginning then the project is at risk and the likelihood of failure increases. This is made increasingly complicated since many owner partnerships with differing agendas may be involved. Public sector partnerships might include federal, state and local elected and appointed officials, planners and executors, interest groups and private sector expertise as an extension of the public workforce. A similar collection of partnerships may exist with private sector owners. While alignment and buy-in are essential to the success of any project, this is greatly facilitated by strong leadership and direction. Moreover, the strategy, to include the strategic business objectives, must be continuously communicated and supported. This greatly impacts maintaining alignment. Inadequate focus on the strategy and strategic business objectives also allows biases to enter the process, causing increased risks to include delays, uncertainty and confusion. The assumption that there is a shared understanding of the strategy and strategic business objectives may result in suboptimal performance, delays and even failure. Business model and scenarios with regards to the project. Governance structure that provides clear leadership, accountability, alignment and confidence in the strategy. Clearly defined roles and responsibilities to include an approval matrix and constraints. Executive involvement must be defined as a part of this without inhibiting the initiative of planners and executors. Phasing and who needs to be involved at each phase. Process clarity and timing to include approvals. Decision frameworks and processes are key dimensions of an owner’s readiness. As such, owners must have a secure handle on them to provide stable and confident leadership and direction. As with the strategy and strategic business objectives, an assumption that there is a shared understanding can be a significant risk to project success. An ability to assess his or her own project team’s performance, partly to ensure they are enabling contractors and consultants to implement the project efficiently and effectively while not duplicating efforts or erecting barriers to success. Ensure reports on project progress are efficiently provided to partners and stakeholders. Ensure that the project is in compliance with the scope, schedule and budget and clearly defined in the contract and as augmented by other administrative requirements. Ensure that plans and execution approaches are aligned and staffed with individuals with the right competencies to achieve the strategic business objectives. Plans should support required owner approvals and associated processes. The owner’s strategy for a successful project must be supported by strong leadership and a transparent and clear business strategy. A shared understanding of the strategy, strategic business objectives, decision framework and process, planning and execution is key to project success. The assumption that a shared understanding exists puts a project at significant risk. Throughout complex, long-duration mega-programs, changes occur, many between the “white spaces”. That is events, activities and risks that are not specifically identified and addressed. Some of these might include changes in leadership, changes in technology, changes in staffing, changes in politics, reinterpretation of contracts, and others. The following is a list of common causes for program, or project, failures and problems. This list is not intended to be comprehensive, so please add to it based on your own experience. The essence of asset management is to better prioritize resources to optimize outcomes, basically institutionalizing a business-like approach to managing infrastructure. This is not so-called “rocket science”. It is simply what any organization, public or private, should be doing to best use its resources in achieving desired results for its customers and stockholders, whether referred to as asset management or not. To my knowledge, no organization has sufficient resources to do everything it needs or wants to do. Thus, a systematic approach of setting priorities must take place—asset management. In the bigger picture, asset management is an extension of engineering economics. Utilized for over a hundred years, engineering economics has, and continues to be, a primary means for decision-making for infrastructure development. The ability to retain, retrieve, and analyze increasing amounts of data in recent decades has enabled evidence-based decision-making on a network scale. Made possible by computer and digital technology, other “big picture” analyses are increasingly emerging to include the discipline of sustainability that facilitates decision-making between economic, social and environmental realms. Every public and private body is under increasing pressure to justify investment and that it is making best use of its resources. It is tempting to generate an office of asset management in addressing these pressures. However, inculcating an asset management approach requires a cultural change where the entire team thinks in more holistic terms on how to better utilize resources to optimize outcomes. Many organizations have developed a strategic approach that identifies better allocation of resources for the management, operations, preservation and enhancement of infrastructure to meet the needs of current and future customers and stockholders. As an example, in the mid-1990s the American Association of State Highway and Transportation Officials (AASHTO) formed an Asset Management Committee. I was privileged to serve as Vice Chair and Chair. Within a short period of time, the entire transportation industry in the United States recognized the value of asset management and has been refining processes ever since. There are other resources so feel free to add to this list. They must all be managed in an asset management framework to make best use of available resources and to optimize outcomes. This is what customers and stockholders expect. Below are some common foundational elements of leadership and management. This is primarily “a top of mind” list based on my experience. This list is neither comprehensive nor unique to me. Feel free to add other items to this list or develop your own list of leadership and management foundational elements. What’s important is to be mindful of the foundational elements that work for you so that you can reflect and improve them. Leadership and management are aspirational goals that are never achieved or finished. As part of my leadership philosophy, I separate the leadership of people from the management of things for getting results. Inherently people cannot be managed and in fact resist it. However, they can be led with clear goals, direction and working on something they are highly motivated toward and that is greater than themselves. That said, the management is essential. First and foremost, a mission statement must be clearly established. That is the ultimate aim. For a department of transportation (dot), and depending on their responsibilities, it is generally accurate to say they “provide a safe, reliable and sustainable transportation system for the movement of people and goods while improving the economy, mobility and environment”. Enablers (7-9) that support the achieving those goals. While I have not defined these, there could be subsets to at least one. Customers can be defined as the public but also legislatures/congress and various partners such as construction contractors, consultants, truckers, shippers, etc. I mention this because in the end, it is the satisfaction of the customers, supported by the partners, that makes funding, political support, collaboration and a lot of other things work. It is important to note that everything that is important cannot be measured. Also, focus can be lost if too many things are measured. That said, everything is in a constant process of improvement and so it must be for dots and the industry to remain competitive. One of the more intriguing data I have come across on the subject of people versus management of goals/results is from the Harvard Business Review, December 27, 2013 entitled “Should leaders focus on results, or on people?” by Matthew Lieberman. His article reports that if a leader has great social skills only 12% of people consider him a great leader. If a leader has great results skills he is considered great by 14% of people. If a leader has both skill sets the percentage of people rating him a great leader sky rockets to 78%. However, less than 1% of leaders are rated high in both goal focus and social skills. Another study entitled “High-Resolution Leadership: A Synthesis of 15,000 Assessments into How Leaders Shape the Business Landscape” by Development Dimensions International or DDI, 2016, www.ddiworld.com/hirezleadership, covered 300 companies from 18 countries. This study reflected that of the eight highest interaction skills, empathy overwhelmingly tops the list as the most critical driver of overall performance, followed closely by involving others (i.e. engagement). Both relate to higher leader performance in decision making and planning. Overall, the study suggests that leaders need high emotional intelligence (empathy) in their daily dealings with people as well as high cognitive abilities in more intellectual pursuits such as strategy and financial management. The idea of one seamless transportation system has existed for many years. Currently we have strong transportation modes, but one seamless transportation system is lacking. Over the past 100 years we have become a nation that is car-centric, and our system of roads, highways and interstate allow us largely to travel where we want, when we want. I count myself among the many that are car-centric. In spite of the negative impacts of this surface transportation system, it has driven our economy to be the strongest in the world. However, if we want to connect various modes—public transportation, airports, trains, marine and inland water navigation etc.—we are frequently left to our own devices in getting where we want, when we want. This can be inefficient, ineffective and frustrating. As an example, in many areas of the country public transportation does not connect to airports, train stations or water navigation. While several urban areas have developed these connections, there is still a long way to go. Although infrastructure will continue to be important to add value by connecting these “edges”, digital technology can act as a valuable force-multiplier in bringing a multimodal system to an emerging intermodal system and finally to one seamless system. The value of connecting these edges adds enormously to our economy and quality of life. In many ways these “edges” reflect the richness and value at intersecting biomes, a fact known by ecologists for many years. The freight industry has long recognized that their business relies on one connected freight system. Otherwise, products would be delayed, not delivered and at times products would rot. A national freight program has emerged in recent years, bearing testimony to its importance. While there are still needed improvements in the freight system, the efficient movement of people has lagged. This is an opportunity to be seized. Strategic planning to achieve one seamless transportation system is a collaborative affair with inclusive interests. There is no entity, to my knowledge, that is not dependent on some form of transportation. Our economy and quality of life depend on a safe and reliable transportation system. In fact, the history of human colonization, societies and economies on planet Earth could be told in the context of transportation with all of its components. These are exciting and challenging times in transportation, with perhaps more changes in the next 10 years than in the previous 60, or even the previous 100. In spite of the challenges, including to find a replacement for the fuel tax, mobility is the imperative, not infrastructure, vehicles, digital technology or other elements alone. It is about convenience, quality and affordability, using transportation to improve lives. Thus, we are at a watershed moment in time that requires that we change the way we think and act to build one seamless “transportation ecosystem” that will save lives, save costs, reduce congestion, reduce pollution and mitigate climate change, create jobs, grow the economy and increase customer service and satisfaction. The industry has been slowly moving in this direction for some time but has failed to realize any significant improvement in developing one seamless system. In a previous blog (The Future of Transportation…September 2015) I reviewed the history leading to the start of the interstate highway system. The general concept for an interstate highway system was created during the World War I era as a means for defense and to spur economic growth—the Pershing Map, named for General John J. Pershing. The concept for an interstate highway system was further advanced based on the experience of Dwight D. Eisenhower shortly after World War I where a transcontinental road trip took weeks, and then during World War II as he recognized the efficiency and speed of the German Autobahn. During the intervening 30 years there was general consensus as to what the interstate highway system should look like but there was no agreement as to how it should be paid for. The States did not sit idle then, as they are not now. Oregon invented the fuel tax in 1919 and within 10 years every state had adopted a fuel tax to build the infrastructure (roads) to primarily “get out of the mud”. States, including Kansas, Oklahoma and others, also built toll roads, just as the states and locals had built toll bridges for many years before, to increase connectivity and spur economic development. Finally, agreement was reached to adopt a federal fuel tax and fund the construction (not maintenance) of the interstate system through the National Interstate and Defense Highways Act of 1956. The evidence is overwhelming that the interstate highway system, and transportation in general, has improved our economy and quality of life. The question now is will it take another 30 plus years to decide what our future transportation system should be and how to pay for it? This does not even include the needs of other forms of infrastructure for water, waste water, power etc. that our society has become dependent on. Technology, especially digital technology, is evolving at breath-taking speed. As such, the public sector is not well suited to rapidly adjust to these changes in technology. The private sector is much better suited and again, I believe, there is evidence that the private sector will drive much of the transportation future. We are already witnessing this with Lyft, UBER, autonomous vehicles, connected vehicles, intelligent infrastructure, continuing to evolve intelligent transportation systems, drones, automated machine control, positive train control, just-in-time delivery services, Internet shopping and delivery, “big data” and resulting useful information, and other changes across all modes of transportation. Many of these technologies and businesses did not even exist a few years ago. This does not even contemplate other rapidly evolving technologies impacted by nanotechnology and other advances in materials. Our societal values have also evolved. For example, we are much more aware of the risks to life and the economy from driving. Thus a safe transportation system is valued more highly than in the past. We recognize the impact that the built environment can have on our natural environment and the attention to maintaining and improving the natural environment has dramatically increased, largely since the National Environmental Policy Act (NEPA) of 1970. Other aspects such as societal justice has evolved. In reality there is no single solution to the way our society evolves, it is more a matter of weighing informed choices in decision-making. This has resulted in a relatively new field—sustainability—which “balances” our society, environment and economic interests. The number of licensed drivers and privately owned vehicles is declining. Our society is aging as “baby boomers” move into “retirement” age, an indication of changing demographics. While oil is currently in abundance, it is not a renewable resource and the use of alternative fuels and more efficient vehicles continues to evolve. Debt is increasing, whether our national debt or the result of student loans. Wages are static. These only begin to portend some of the changes in our world, with little deference to the changing international landscape. So, it is important, if not essential, to be as inclusive as possible when doing strategic planning. While strategic planning is more precise for the relative near-term, the long-term is much less clear. Perhaps the best we can do is to develop and be mindful of a “cone of possibilities” which so-called futurists propose. How many years a plan should be forward looking is open to discussion. However, strategic planning could be easily constructed along time horizons of a few years and up to 50 or more, realizing that longer time frames will be less certain with a point of diminishing returns. In my opinion, these strategic plans should be updated perhaps every five years based on how rapidly our world is changing. While the visioning of a strategic plan is important, it is also important to identify next steps with specific and measurable performance measures and who is responsible for actions. Since our economy and quality of life will be impacted by what we do, all citizenry interests must be represented to include pedestrians, bicyclist, motorcyclists, automobile drivers, truckers, rail roads, aviation, digital technology interests, ride sharing/taxi cab providers, public transportation, government, emergency responders (including fire departments and police), utilities, schools and academia, consultants, contractors, economists and economic developers, environmental interests, business owners, marine and inland water shippers, ports and others. While participation by these various interests cannot be guaranteed, outreach is necessary to solicit as much participation as possible. This must be balanced to avoid being “frozen” into inaction. The goal is for general consensus, knowing that complete agreement is rarely, if ever, obtained. With these efforts, it is hoped that our societal buy-in for transportation strategic plans at the federal, regional, state and locals will advance our progress in developing one seamless system, using transportation to improve lives. The synthesis of strategy, operations and tactics in leadership and management is perhaps unique for each individual. However, there are some basic tenants that are probably shared by many. As one example, I provide my approach and framework to outline real-world leadership and management. This begins with my leadership style. First, what does it mean to be people-based? I have adopted the philosophy that: You lead people and manage things, but it us all about people. Jim Collins (Good to Great, Harper Business, 2011) has put a fine point on this by stating “first who, then what”. This reflects that what is most important in any organizations are its people, but not just any people. They must be the right people. Some of the elements of this are: select the right people, set the right expectations, provide the right tools and training, provide growth opportunities, help them succeed and develop them as leaders. My working premise is that the role of leadership is to develop more leaders to lead people and get results. If this is done well, they will take care of the customers and clients. At more senior levels the responsibilities include setting the vision, values, direction, culture, priorities, establishing a plan with specific and measurable performance measures and coaching within a framework where people can flourish. There is an adage used in the Army: “people first, mission always”. There has been considerable discourse on how this is done, especially given that soldiers are trained to be sent into harms way in combat. James H. Zenger and Joseph R. Folkman (The Extraordinary Leader: Turning Good Managers into Great Leaders, The McGraw-Hill Companies, 2009) studied two elements—results focus versus social skills—and found that great leaders find a way to shift and balance these two foci. A focus on results or social skills alone results in “mediocre leadership”. So, what does it mean to be results-driven? In simplest terms this means achieving specific and measurable goals. The coin of the realm in the private sector are profits while in the public sector it is serving the public good. The world is changing and we must change with it. I hope this primer is useful.